RODENT SERVICES WITH CLEAN & TREAT CO. There are generally two trains of thought when it comes to rodents. You either think they’re kind of cute, or the ugliest vermin in the world. Either way, when they are in your home, the thought process is generally the same. You want rodents gone as quickly as possible, and you don’t want to wait another day. So, call out Clean & Treat Co., right away, and let them handle your issue. There is good reason for you to want your rodent issue to be solved. Regardless of how you think these creatures look, they are known for carrying disease and bacteria. They are also the most common pest in our state, which means just about all of us have had to deal with them. Rodents can enter your home in numerous ways, and they can quickly nest and reproduce. Only an experienced pest control service can ensure this doesn’t remain an issue in your home. Are you ready to finally do something about your pest problem? 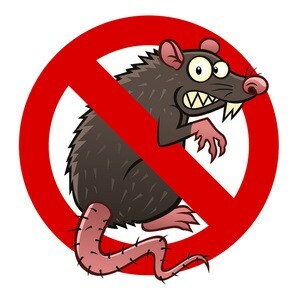 Clean & Treat Co. services pests, rodents, termites, lawn & ornamental issues, and much more. They know that you have worked hard to acquire a property that you can be proud to show off. That is much harder to do when pests are threatening to take control of your home. Contact Clean & Treat Co., today, and set up your appointment.